Maine communities torn apart by age-old debate: Business growth or water views? Tom Howell of Spinny Creek Shellfish of Eliot demonstrates how the oyster grow cages are flipped to receive sun and wind for a short period of time as part of the growing process. KITTERY, Maine — It’s a 127-acre salt water pond shared by two southern Maine towns. The Piscataqua River Bridge surmounts its natural landscape, the perpetual buzz of interstate traffic a striking juxtaposition with the hum of wildlife and stillness of water. It’s a special place for the 60-some residences, split between Kittery and Eliot, affixed to its shoreline. A proposal by a local shellfish company to expand its aquaculture operations to the length of three football fields within the body of water has posed a considerable question some abutters are hastily trying to answer: Who exactly owns Spinney Creek, both literally and figuratively? As a state-held public hearing date draws near, attention surrounds the application for a 3.67-acre, three-year experimental aquaculture lease submitted to the Maine Department of Marine Resources by Spinney Creek Shellfish, a business with 35 years of seafood history in Eliot, specifically on the creek. 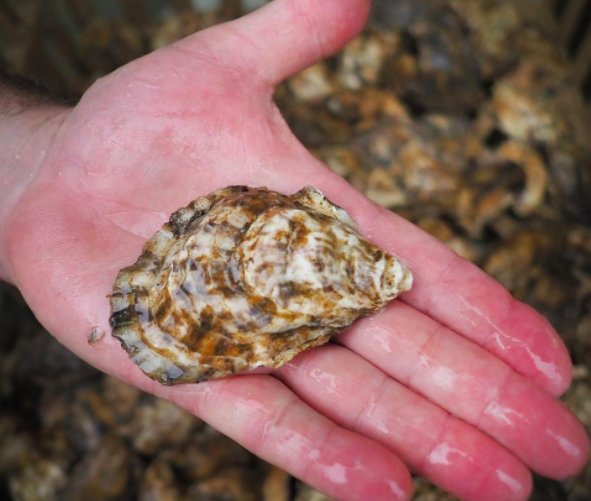 Spinney Creek Shellfish seeks licensure for the suspended culture of oysters and quahogs as a “commercial research and development project” to explore the maximization of its farming operations and its economic feasibility. 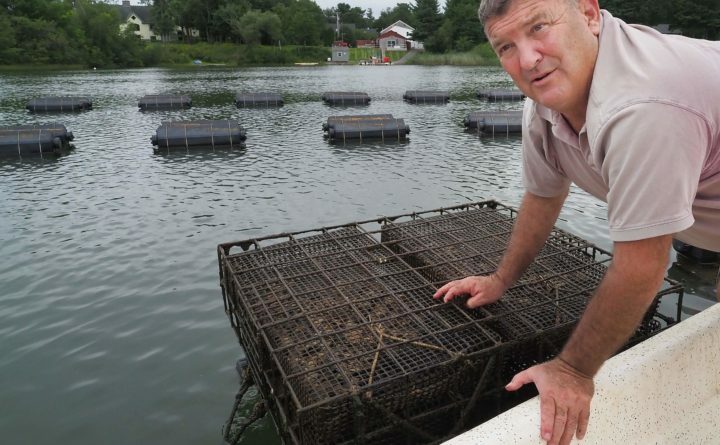 Owners and Eliot residents Tom and Lori Howell are utilizing new aquaculture technology, including state-of-the-art gear developed in Canada called an Oyster Ranch. A group of residents from both sides of the creek have created an informal group to oppose the shellfish company’s proposal, citing risks to safety and navigation, reduction in quality of life, impact on property taxes and negative ecological effects as their primary concerns. They’re distressed about the potential effects on a delicate ecosystem. But the Howells believe it’s their right to pursue their livelihood on the body of water they’ve operated their business on for decades; one they know. They’re good stewards, they say, and will remain that way. Aquaculture projects are decided on by the DMR, and municipalities have no jurisdiction. The state does, however, hold a public hearing to allow for local input. The hearing on Spinney Creek Shellfish’s proposal is scheduled for Wednesday, Sept. 19 at 6 p.m. at Kittery’s Rice Public Library. Tom and Lori Howell arrived on Spinney Creek in 1983, where shellfish farming had already taken place for nearly 10 years prior. At the time, they said, the water quality was poor and the creek was infested with weeds. “We’ve been cleaning this place up for 35 years,” Lori said. “We’ve really tried to do things in such a way to make this a more pleasant place to be.” Spinney Creek feeds to the Piscataqua River, though is closed off by a tide gate. Spinney Creek Shellfish sells its product to distributors, most notably Taylor Lobster Company in Kittery, and its oysters are then dispersed throughout the country. The business employs just under 20 people in the summertime, and around 12 during the winter. “We’re good stewards of this place,” Tom said. It’s a Wednesday evening, and Tom and Lori are out on the water. The ecosystem is wet from rain, soaked wildlife perched on the floating aquaculture cages at the center of the creek. The Howells currently operate 12 limited purpose licenses, the aquaculture farms seen in the creek today. What is presently 180 floating cages could turn into 800 if the application is approved, and it would take several years to reach maximum size, Lori said. The contraptions sit at a depth of approximately 6 to 7 feet. “This is six weeks of growth, they’re doing beautifully,” Tom said as he flipped a cage in the water, showing dozens of oysters scattered inside. Around Thanksgiving, the Howells sink the equipment to the bottom of the creek for the winter. Tom Howell of Spinney Creek Shellfish holds an oyster. Tom said the goal of the proposed expansion is to grow around a half million oysters per year, rather than the 150,000 they’re currently doing. The Howells listed good employment, the local food trend and positive impact on the environment as three pluses aquaculture operations offer the community. According to DMR statistics, from 2005 to 2016, the harvesting of farm-raised oysters in Maine rose from 2 million to nearly 9 million, while hitting a total value of nearly $6 million in 2016. The Howells’ proposal is for the eastern side of the creek, along a particularly wooded area that doesn’t bare many residences. Lori and Tom said their choice of location was purposeful, and the current farms they operate toward the center would be relinquished if the new application is approved, ultimately consolidating all farming efforts into one area. The Howells acknowledge they’ve heard most of the concerns surrounding their proposal, but want to dispel false claims at next week’s public hearing. Tom and Lori called themselves “neat and tidy people” and say their aquaculture operations reflect that. The DMR’s legal criteria for issuing aquaculture leases includes absence of interference with ingress and egress of riparian owners, navigation, fishing and other uses, ability of the site and surrounding area to support ecologically significant flora and fauna, and public use or enjoyment within 1,000 feet of beaches, parks or docks owned by local, state or federal governments. Appearance, the Howells noted, isn’t part of that list. “We use all of this water, but we don’t own this water,” Tom said. During their many years on the creek, Tom and Lori have rescued drowning dogs and ice skaters, and one time assisted first responders in recovering a body. These are things they don’t talk about often, but show the responsibility they feel for the body of water they’ve made their hard-earned living on. “Our application speaks for itself,” Lori said. A group named Friends of Spinney Creek has mobilized since the proposal arose and is currently sponsoring a petition to “save” the creek. The Eliot Conservation Commission previously tapped Spinney Creek as an area of of “ecological significance,” and voters have picked it as a focus area for conservation efforts. The creek, however, is mildly contaminated, and all shellfish harvested must be processed through the Spinney Creek depuration plant owned by the Howells. Friends of Spinney Creek’s petition claims the shellfish company is increasing its current farming operations by more than 700 percent. On a mild Tuesday afternoon, Norm LeMoine stands at the edge of his yard on the Kittery side of Spinney Creek, pointing to the black buoys suspending the underwater cages in front of his house, and the shellfish operation across the way. LeMoine and his wife, Kathy LeMoine, say they’ve watched the ecosystem dwindle over the last several years, including the disappearance of eelgrass and increase in cormorants. The water has grown increasingly warmer, and they attribute that to the fact Spinney Creek Shellfish controls the creek’s tide gate, which is only opened seven times a year, the longest period being for four days. Many years ago when the state decided to rebuild the tide gate that opens to the Piscataqua, the Howells worked with the Maine Department of Transportation, the entity that owns the gate, on how to best operate it. They’ve since been the “unofficial” operators of the gate, and disseminate a gate schedule to all creek residents each year. Across the creek, Eliot residents Mike Dowling and Ana Zacchi have joined the cause. In the residents’ pursuit to see what they can do to stop the project from proceeding, they’ve found there’s essentially no jurisdiction over Spinney Creek at even a remotely local level. No municipality, board, committee or agency has jurisdiction over the creek aside from the state’s DMR based in Augusta, the entity that ultimately decides the fate of the aquaculture proposal. Dowling emphasized they are not “NIMBYs,” but rather concerned about a natural resource being exploited, one that they live on. According to a DMR site review conducted in June, officials said they observed “a variety of vessels” in the creek including kayaks, sailboats, powerboats, rowboats and canoes, “indicating heavy riparian use of the creek for boating activities.” However, the officials deemed there is “ample room” for vessels to navigate around the proposed site. 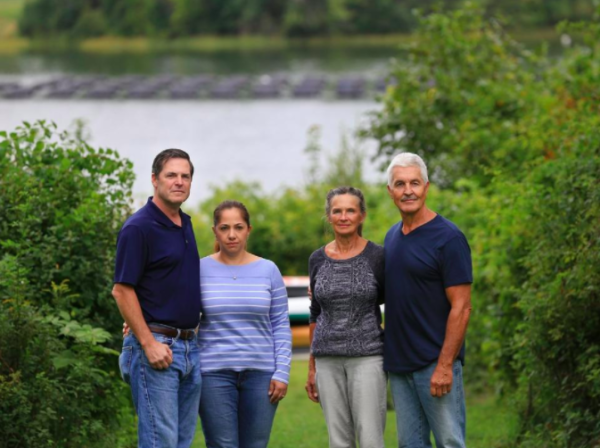 From left, Mike Dowling and Ana Zacchi of Eliot and Kathy and Norm LeMoine of Kittery oppose a plan to expand Spinney Creek Shellfish on a salt pond between their two towns. “When you have lots of activity going on and at the same time you have a lot of equipment in the water, obstacles, I just think that’s a collision course going on there,” Norm LeMoine rebutted. But perhaps the most concerning piece of the DMR’s site review report for the Friends of Spinney Creek is the data that reflects the loss of eelgrass on the creek floor. Data indicated that in 2010, the closest eelgrass bed to the proposed lease site saw a 40 to 70 percent cover. In June, it was a different story. “MDMR staff observed eelgrass in very low density during the snorkel transect of the proposed lease; only a few eelgrass fronds were observed,” the report said. Lori Howell said eelgrass is on a natural cycle of 20 to 25 years, adding its presence has been heavy in the past and they expect it will return. “For me, environment is number one,” said Zacchi, adding she felt Spinney Creek Shellfish should not be able to control the flow of the creek by determining the tide gate schedule. Norm LeMoine believes there’s a process breakdown at the state level, as past aquaculture application procedures once included first steps as a meeting with town officials, and then a scope session with the public. That is no longer the case for the particular type of license for which the Howells are applying. Kathy LeMoine noted Spinney Creek Shellfish does not rely solely on Spinney Creek to get its oysters. According to Spinney’s website, it also selects oysters from Canada to the Chesapeake Bay. “We’re not here trying to make enemies,” Dowling added. “They’re our neighbors. But I think it should be denied because of the process, the lack of oversight of the creek, and not knowing the current and potential environmental impacts it could have on this small landlocked pond. The Howells’ full application can be viewed at https://bit.ly/2OivAqL.